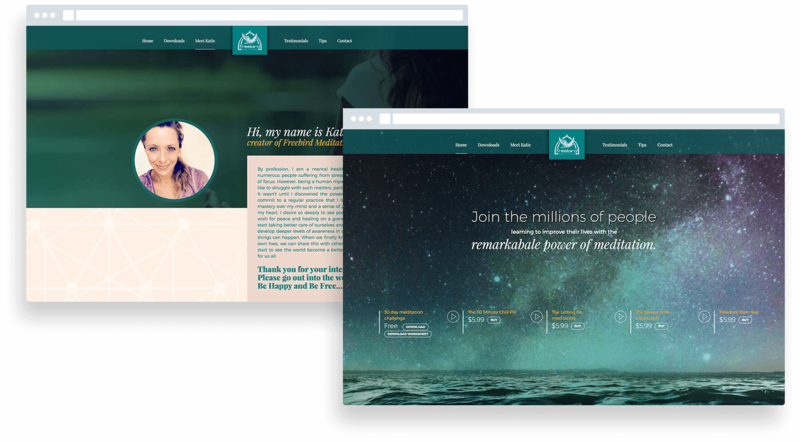 It is tempting to do your website by yourself using one of the thousands of free templates online. Unfortunately, this does not lead to great results, as was the case with Freebird Meditations. Their website had a low conversion rate and did not represent their image properly, so they contacted us. When creating custom web design, creativity is key. That is why we took a creative approach with this one. The first thing we did is talk with Freebird Meditations’ founder and learn more about why they do what they do, who their ideal listeners are and what their objectives are. Freebird Meditations was extremely inspiring, as they completely believed in what they did and believed their meditations make people calmer and happier, which consequently makes the world a better place. We were immediately motivated by this attitude towards life. We knew that all we had to do was convey these strong emotions and people would trust Freebird Meditations and buy, essentially, a better life from themselves. To craft a creative design and bring it to life, we once again used simplicity and the power and beauty of nature. The large image of the night sky covered in stars over the sleeping ocean immediately conveys the feeling of serenity, of endless opportunities, of resistance to everything and anything. Their sales are completely digital, so you can imagine how important it was for the success of their business that we get this right. In addition to the web design changes that we made, the website can now be accessed by any device - mobile or desktop - and is just as attractive and user-friendly. As a result of all those updates, their conversion rate increased, which gives them the freedom and motivation to produce even more amazing meditations. 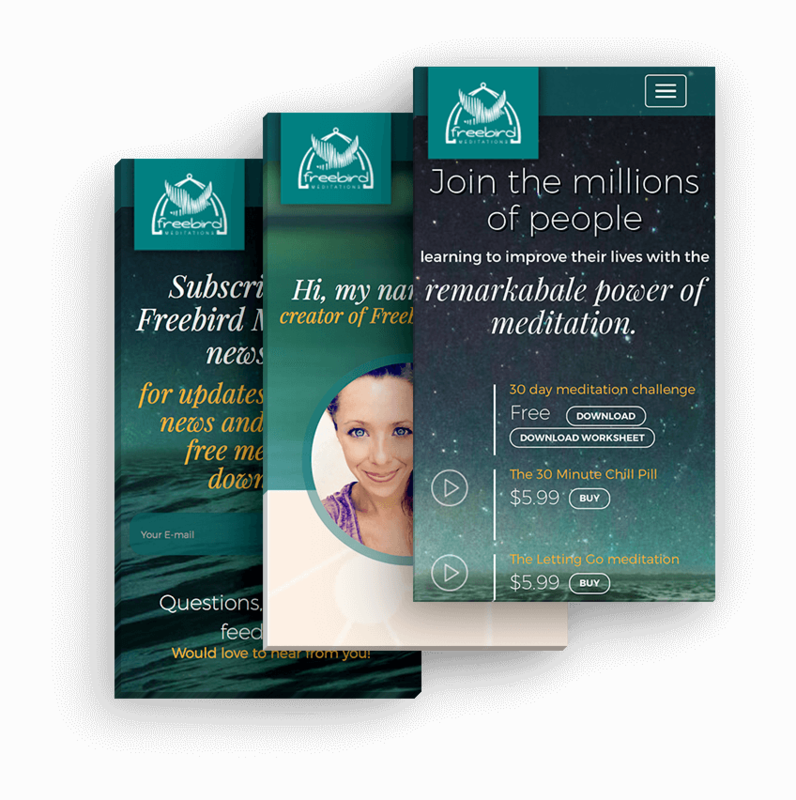 Freebird Meditations is a company that creates meditational audio tracks that walk you through all sorts of meditations - from the most basic ones, like The 30 Minute Chill Pill, to the more concentrated ones, like The Sleepy Time or The Letting Go meditation. They have helped thousands of people live a better life through simple meditation techniques.